The mother company BRUNSWICK waives the sale of its prestigious brand SEARAY and MERIDIAN for lack of an interesting offer. 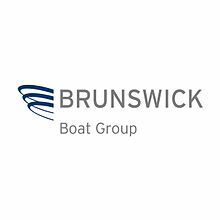 BRUNSWICK also announces that it will continue to produce boats under the 40-foot mark, but will stop production of its larger yachts and sport yachts. This scenario is going to leave SEARAY dealers in a big stalemate, what to do with the level of consumer confidence in their recent purchases of yachts over 40 feet, knowing that production will stop. Some will say, that the value will come down, others will go up, time will tell us soon enough. The competition in the 40-foot and over is now very fierce. 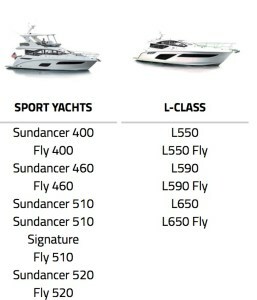 In the 40 and 50 foot category, other American manufacturers have taken advantage of the market, I think of Cruisers Yachts with the Cantius series for example. There are also the Beneteau, Jeanneau, Prestige with their category B boats that have been able to take a good part of the market. Searay should have focused on quality and try to distinguish itself with category A certified products. 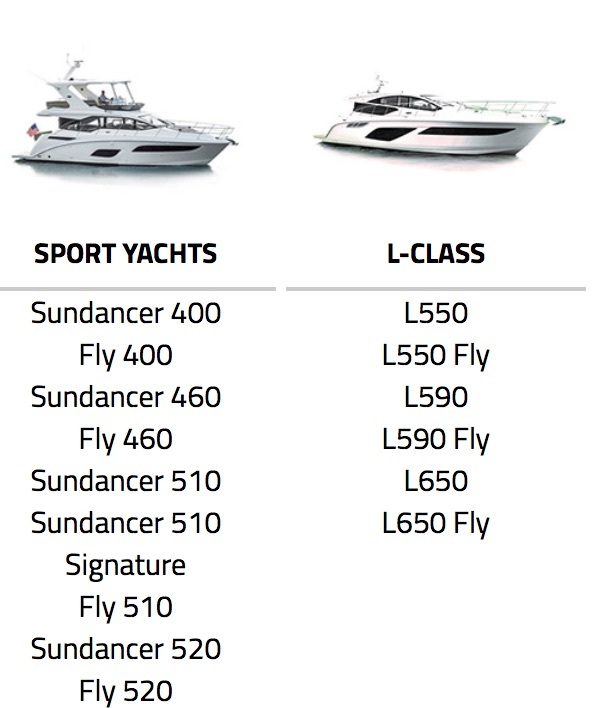 There are too many B-C categories manufactured in America, but manufacturers are taking advantage of the lack of a certified homologation to qualify their high-end boats when they are not. Of course, for lakes and rivers, this is less relevant, but why not rely on the judgment of boaters. In category 50 and up, Europeans are hard to beat, I think of Princess, Sunseeker, Pershing, Ferretti, Azimut, Absolute, Riva, Sanlorenzo, etc. European manufacturers are obliged to display their rankings and the organization that manages this ranking is very strict. The luxury, the chrome, the size are not criteria entering into the qualification, but the capacity of the boat has faced sometimes difficult sea conditions. The hull seals, the center of gravity, the portholes, the ability to evacuate the water quickly from the boat in a sometimes strong wave (cockpit), the solidity, the engine control system and the main cockpit, the system electric, the height of the freeboard, the ability of the boat to protect itself from the water (engine compartment), in short a set of factors that allows to know if the manufacturer has been able to put quality, to have a powerful design , proven features, quality components, uncompromising factory know-how, in short a class A yacht. Too many boaters make their choice solely on appearance, luxury on board and neglect the characteristics of navigability. Here is the press release from the Brunswick company, the future of Searay is now set, the future of Meridian also, but for Meridian, the production is over. Brunswick Corp. has ended the sales process for its Sea Ray and Meridian brands; it will continue production of the boats but will discontinue the yacht and sport yacht models. The company says it will revitalize the Sea Ray brand by capitalizing on growth opportunities in its sport boat and cruiser product categories. 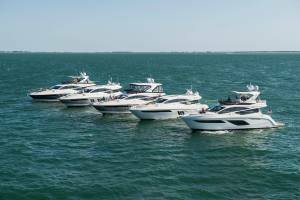 Sea Ray will begin to wind down sport yacht and yacht production in the third quarter at its Sykes Creek and Palm Coast, Fla., facilities, involving the elimination of as many as 825 positions. “Over the last several months, we have engaged in a thorough sale process for the Sea Ray business, which we believed would generate the highest value for our shareholders,” Brunswick chairman and CEO Mark Schwabero said in a statement. “As the sale process neared conclusion, we started to evaluate other strategic options beyond our original plan to sell the Sea Ray business in its entirety,” Schwabero said. “These combined actions will create a revitalized Sea Ray that will benefit from continuing synergy with our broader marine portfolio — and with targeted ongoing investment — we believe will offer increasingly attractive profitability and cash flow returns. We believe that this is the best solution to generate value for our dealers and shareholders now and in the future,” Schwabero said. Palm Coast is targeted for closure as soon as practical in 2018, while a portion of Sykes Creek will continue to operate for the foreseeable future to support customer service and warranty obligations, along with other operational requirements. The expected impact on 2018 performance and long-term planning targets will be addressed as part of the company’s conference call today as well as the second quarter earnings call. 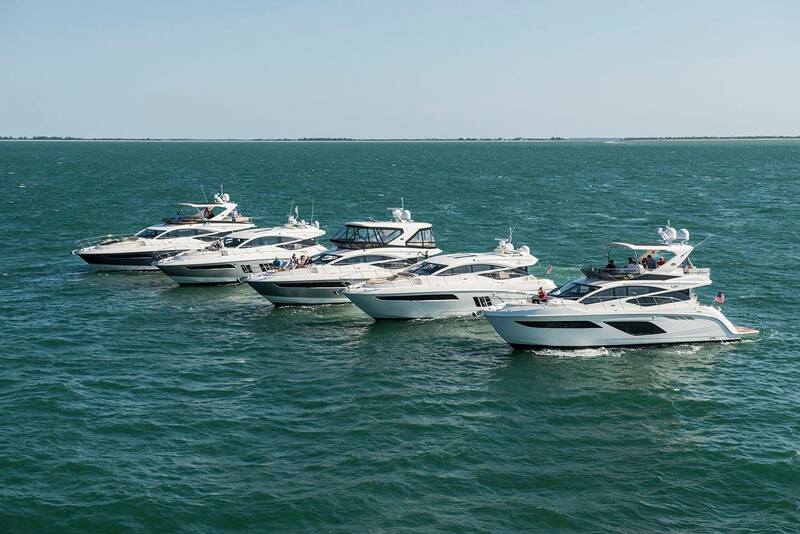 Going forward, Brunswick will report results of Sea Ray on a GAAP basis in continuing operations, rather than the previous classification as discontinued operations in recent financial reports. Sea Ray sport yacht and yacht financial results will be excluded from the Company’s as adjusted, non-GAAP results of continued operations to offer a clearer comparison to go-forward operations. In addition, the company’s as adjusted financial information will include the results of the Sea Ray sport boat and cruiser business.